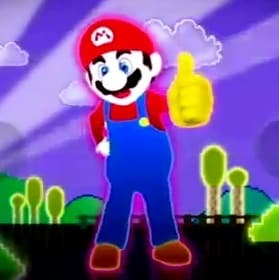 As far as I’m aware, Mario last got his dancing shoes on for 2005 GameCube release Dance Dance Revolution: Mario Mix, yet following the global popularity of Ubisoft’s Just Dance he seems to have wanted to get in on the action again. Within the Japanese version, titled ‘Just Dance Wii’, which released earlier this week, Nintendo and Ubisoft have partnered to include a dance mix of Super Mario Bros. theme tunes. All the while a professional dancer, geared up in a Mario costume, provides the choreography in the background.